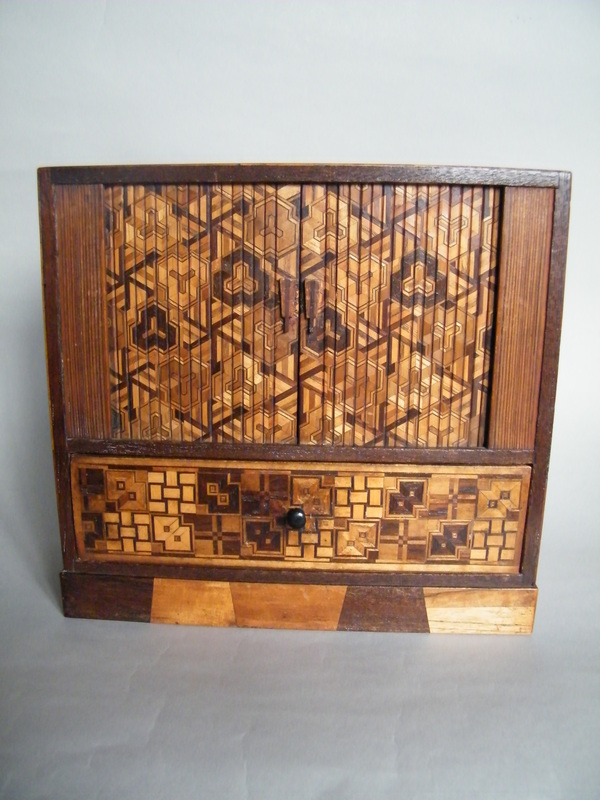 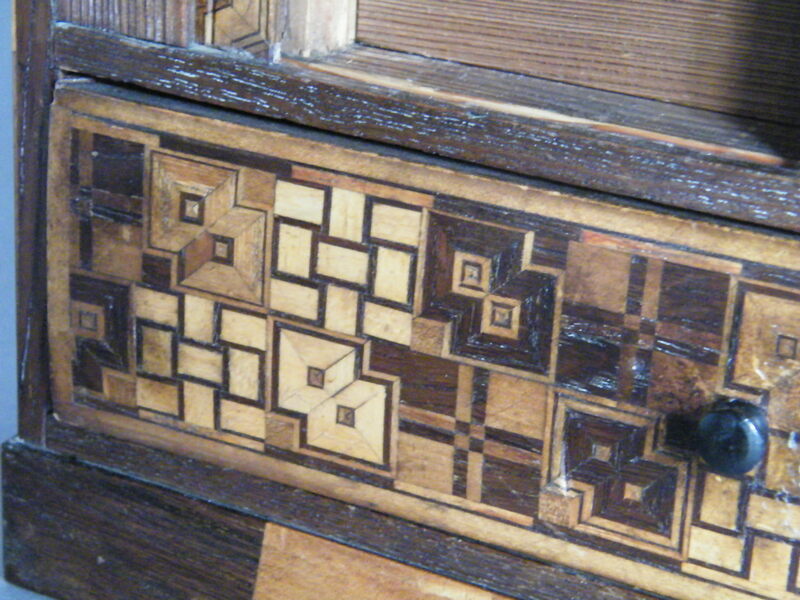 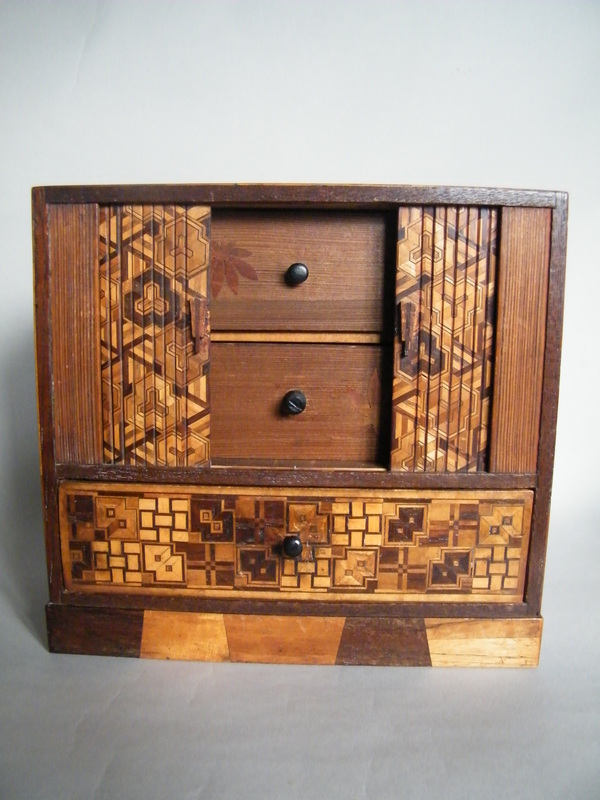 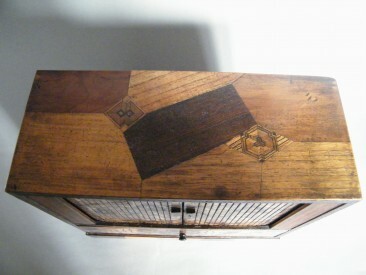 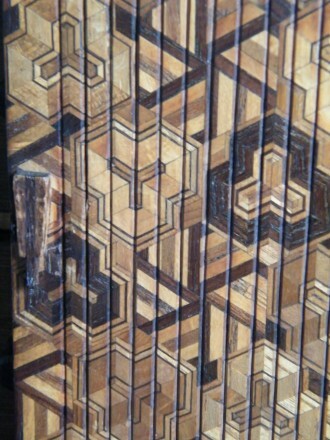 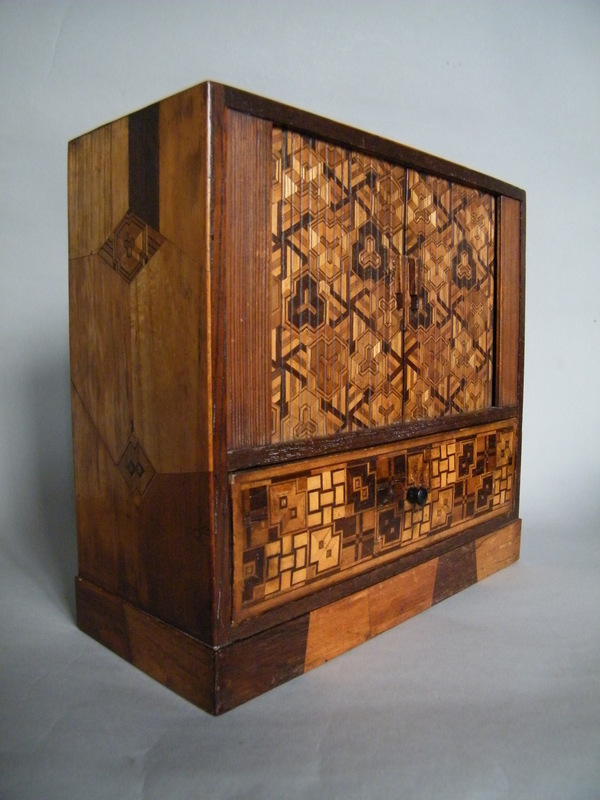 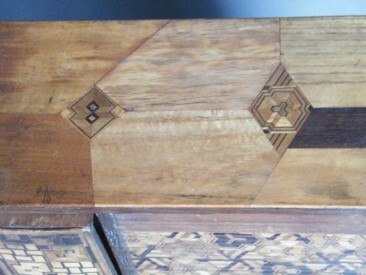 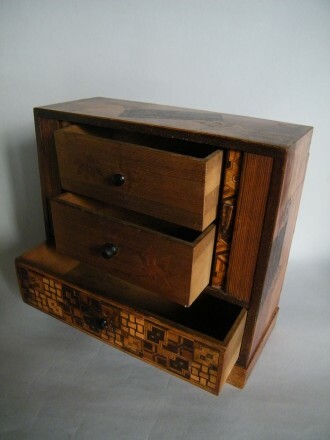 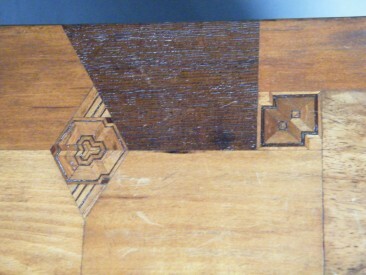 An elaborately inlaid three drawer marquetry cabinet, unusually, with tambour doors. 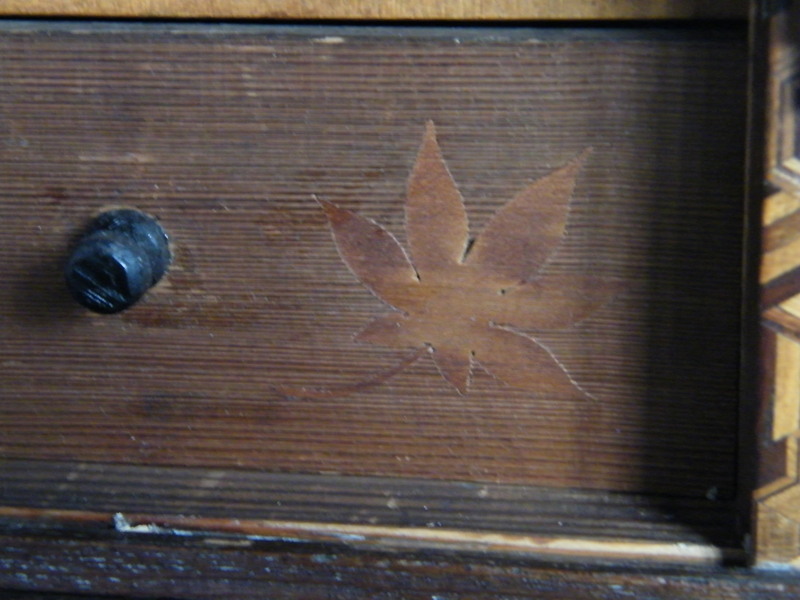 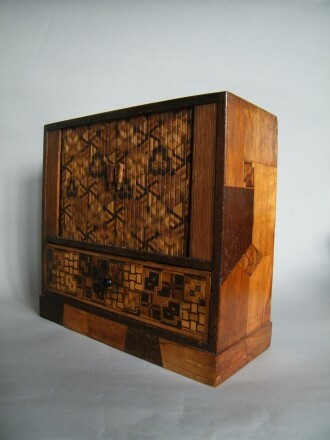 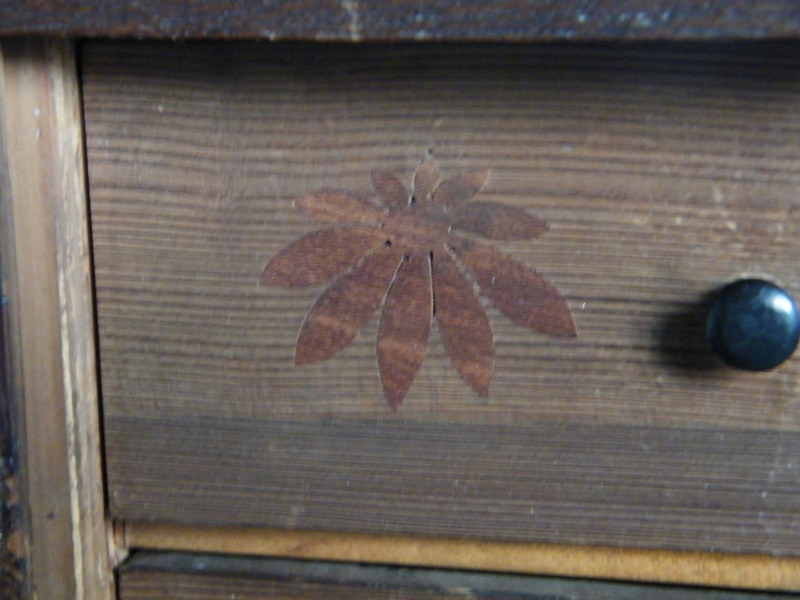 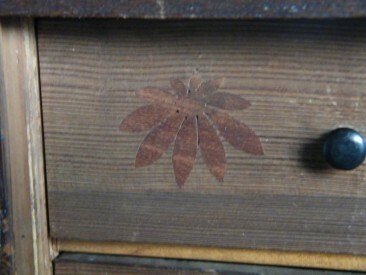 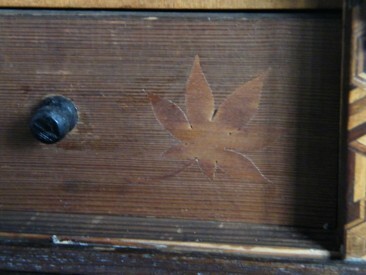 This item was made in Japan, for export, during the late 19th or early 20th century. 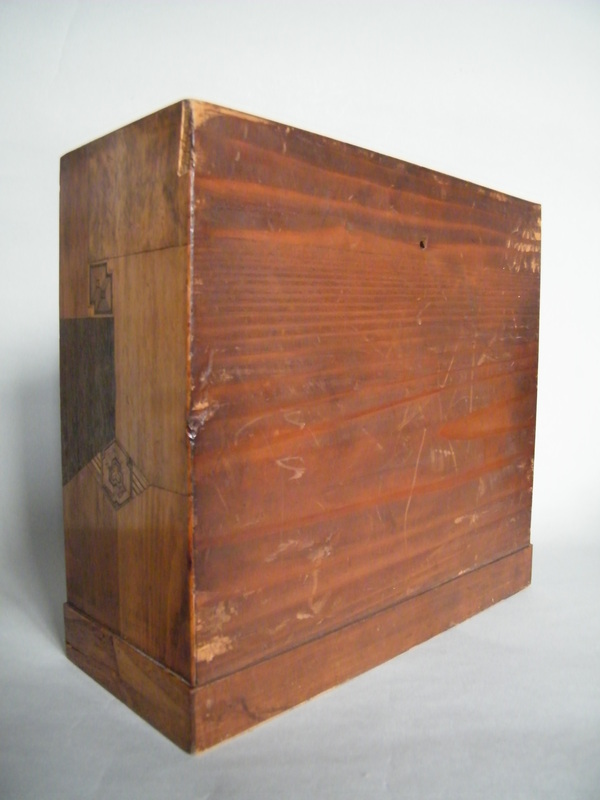 In very good used condition; there is one small piece of veneer missing from the top back corner of the right side; no further losses, no restoration and no alterations. 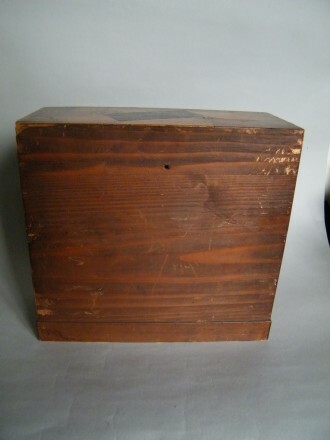 23cm (9 inches) high; 24.5cm (9.5 inches) high.